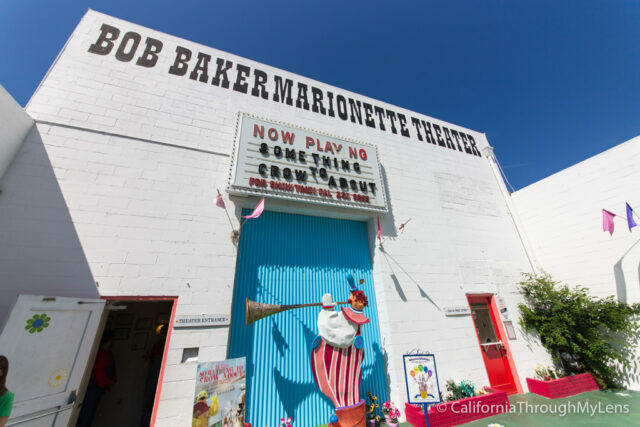 For as long as I have been coming to LA, I have always wanted to visit this theater. I can honestly say that it is not something I had high hopes for enjoying, but when Atlas Obscura visited I figured I would tag along and see what it entailed. I am glad I did as this place was a lot of fun and much better then I anticipated. 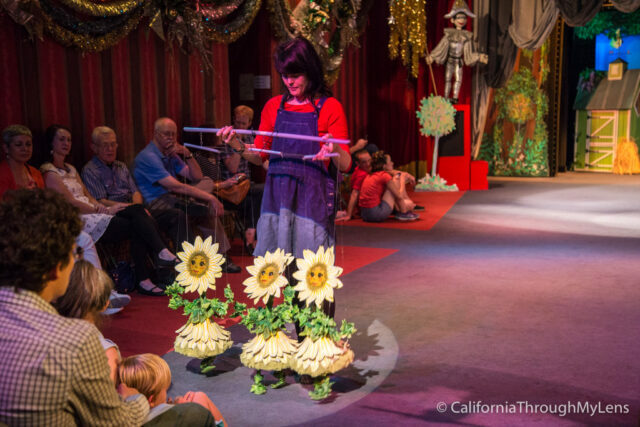 I am already planning to go back for their Christmas show this year and if you have a family with young children I would really encourage you to check it out. 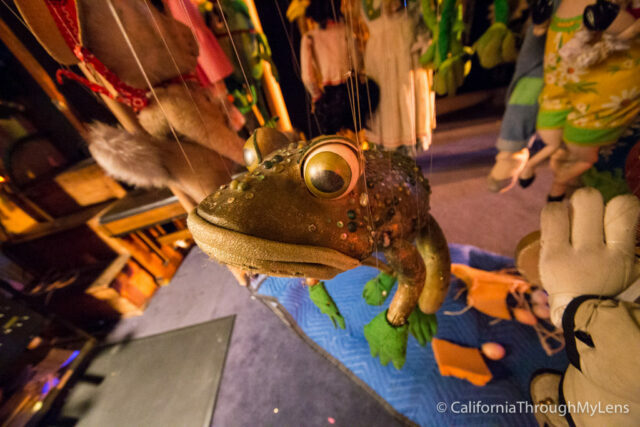 It is a fun excuse to leave technology behind for a few hours and just have fun with the awesome marionette production they have in store for you. 2019 Update: The theater has now moved to 4949 York Boulevard and shows are scheduled to begin again in the summer of 2019. After finding some street parking and grabbing my ticket, I headed in to see the production of “Something to Crow About.” I grabbed a spot in the back of the theater, which I would think could hold about 60-75 people max, and waited patiently for the show to start. 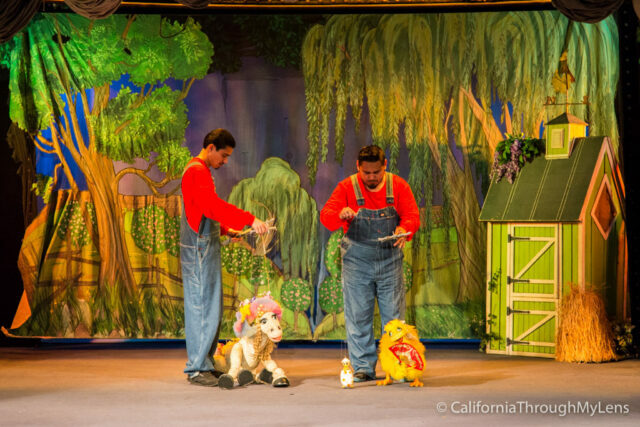 As I was sitting there, a worker came in and encouraged the kids to sit on the ground because the puppets get close to them and sometimes even sit on a lap or two during their routines. 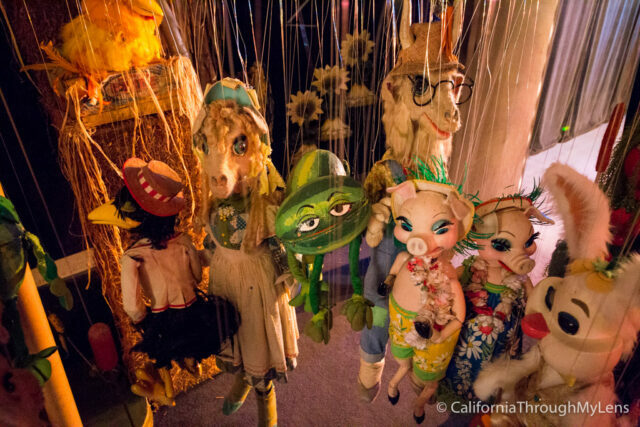 A bunch of kids and even a few adults jumped at this chance, and throughout the show, the puppets did interact with the audience. 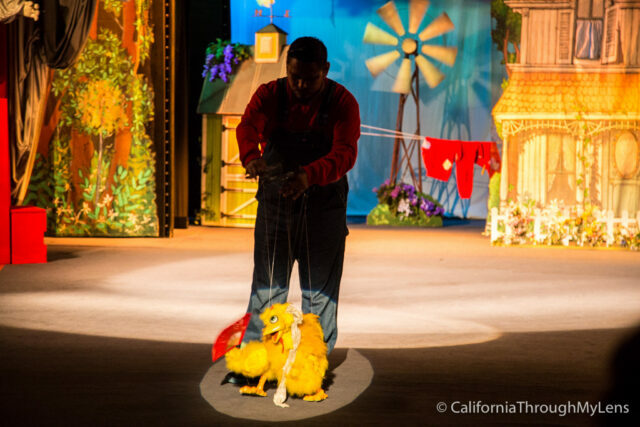 The lights went down, and I was ushered away to a farm where over the next 45 minutes everything from vegetables to chickens sang to me and paraded around the stage. 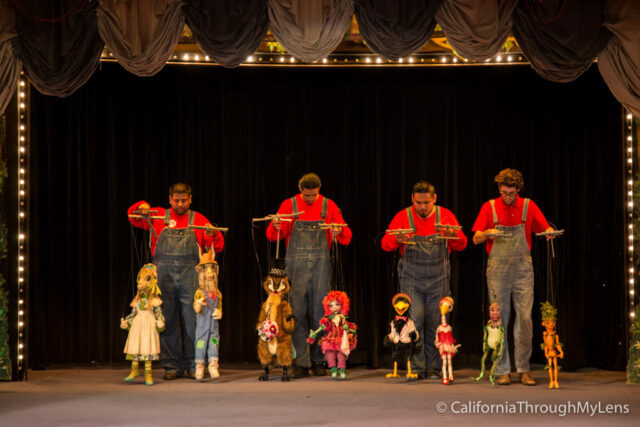 It is strange at first to see people walking around controlling the marionettes, but after a while, it becomes what is fantastic about the show. These workers are crazy talented, and it was fun just to watch their hands move as the characters danced in front of us. 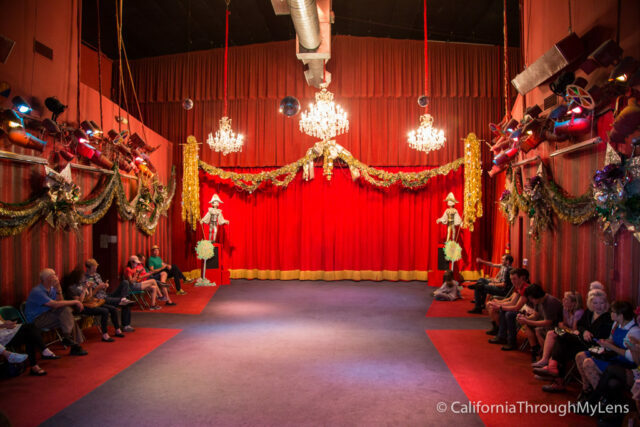 I found myself laughing and smiling as the cheesy jokes and songs flowed through the production, and when the lights went up, I had become a fan of the marionette theater. Apparently, it is a tradition that when the show ends they even provide ice cream for all the guests, so we got to head into the party room and pick out a small ice cream to eat, nothing wrong with that tradition. I went on a special day where they had a tour of the backstage, so the next few parts would not be a regular occurrence if you go to a show here. First we got to meet the guy in control of the lights and see the decades-old machine he uses to control it. Just looking at it made my head hurt, I mean just look at the wires below. He said it worked great though and once you got used to it it was no big deal. 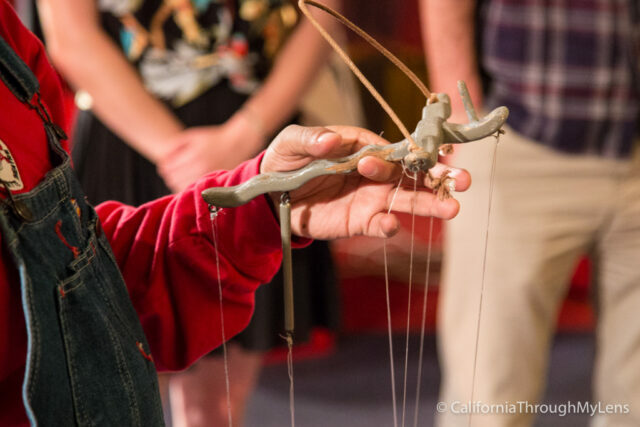 Next, we got to get up close and personal with the marionettes themselves. This was the best part for me as it was fun to photograph and see these impressive pieces of art. Apparently, Bob Baker had over 3,000 of them when he passed away. They gave us a demonstration of how you move them around and honesty it seemed even harder than I imagined. 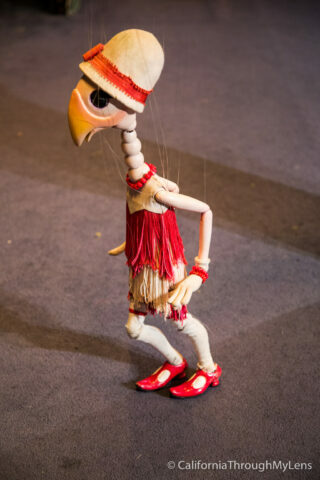 The guy giving us the demonstration said it takes about three months to learn before you can even walk the puppets well. 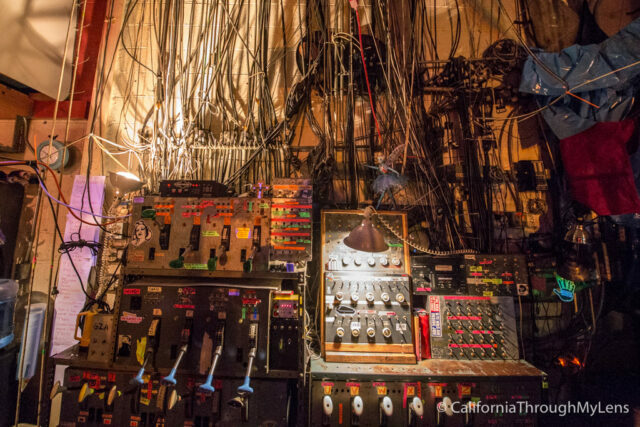 Lastly, we got to talk with the guy who controlled the backdrops, some of which had been in the show since the ’50s. 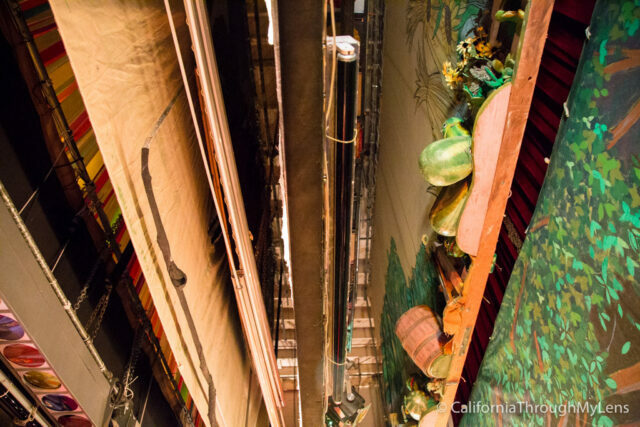 All of the backdrops were just hanging above the stage waiting for the next production. All in all it was a really fun way to spend some time is a piece of LA history. 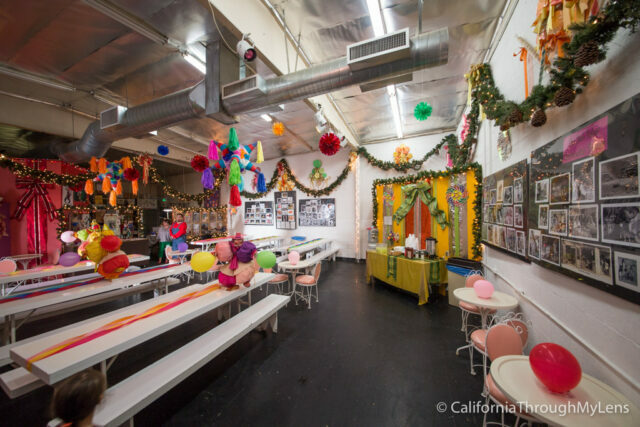 I hope this spot stays in existence for a long time as I would love to be able to sit and see one of their fun shows with my family years from now. Let me know if you have been in the comments and what you thought of the show.